Perhaps I am looking in all of the wrong places, but doesn’t it seem odd that a modern film with 11 Oscar nominations, including five wins, is rarely discussed these days? 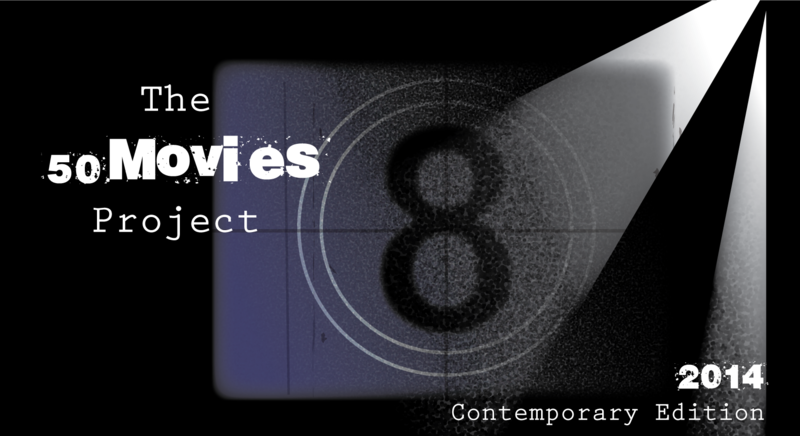 Especially when said film is directed by Martin Scorsese and features brilliant performances from Leonardo DiCaprio and Cate Blanchett, among others? Perhaps it is the fact that most involved have done superior work, but that doesn’t change the fact that The Aviator is a well-crafted epic. The film follows the life of eccentric billionaire Howard Hughes, beginning with his incredibly lengthy and expensive filming of Hell’s Angels. He dabbles in the film industry a bit more (including as producer of the original Scarface and The Outlaw), but it’s clear that his true passion is aviation. This leads him to purchase Transcontinental & Western Air (TWA). From there, his company takes on contracts with the US Army while attempting to develop the biggest and fastest planes in the world (no easy feat, of course). Hughes’s life makes for a hell of a story, one that is full of ups (such as his relationships with Katharine Hepburn and Ava Gardner, the former of whom is played by Blanchett) and downs (his worsening OCD habits and paranoia). Misery tells a story that is so simple, but it’s one that is not easily forgotten. 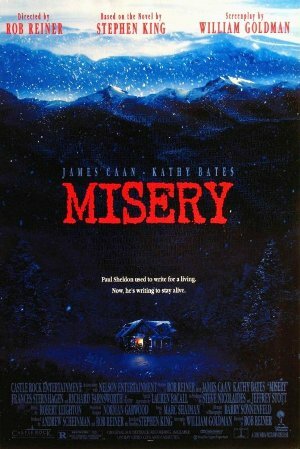 When famous novelist Paul Sheldon (James Caan) gets into a nasty car crash during a blizzard, he is saved by local nurse, Annie Wilkes (Kathy Bates), who personally brings him into her home to rehabilitate him. That’s all fine and well, except for the fact that Wilkes is the novelist’s self-described “#1 fan!” and she refuses to let him leave the house. Oh, and she’s pissed off because Sheldon killed off her favorite character in his novels. Going into the film, I had heard a lot about Bates’s frightening Oscar-winning performance, and yep, she is scary as hell. Her obsessive nature can be terrifying, particularly when she goes from being pleasantly awkward to bursting with anger at the drop of a hat. Making matters worse is the fact that Sheldon’s legs are busted up, and he cannot physically move (great piece of physical acting by Caan here as well). This is the kind of stuff that will make you want to quit writing (or at least stay out of the public eye). Good stuff – love Misery! The Aviator is definitely not as talked about as perhaps it should be. Personally, I really enjoyed it. Much like you. Had the same effect on me as it did on you – Howard Hughes seems like an utterly amazing and revolutionary person. I’d like to say, I need to see the film again, which I probably do, but … the length of it is, well lengthy! And the subject matter isn’t exactly like. One of those watch once and then maybe watch again in a decade or so, sort of films. I agree with you there, Jaina. I’m really glad I watched The Aviator, and it deserves to be talked about more, but it’s not something I will likely revisit too often. Watching Hughes deteriorate is definitely not light material. Nice, well laid out choices, Eric! 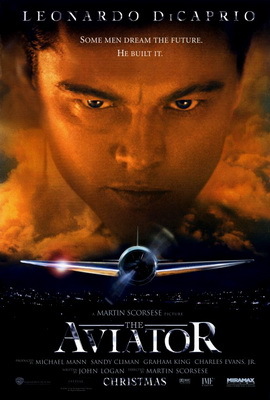 ‘The Aviator’ is one of the better later Scorsese films. Due to the director’s trademark attention to period detail. And his ability to gather exceptional talent. Especially amongst the women. Who give as well as they get! And Mr. DiCaprio delivering a performance where I didn’t think he was Mr. DiCaprio. ‘Misey’ is an ironic tour de force for Mr. Caan. Delivering a mostly bedridden performance that rates up there with his very early ‘Brian’s Song’. While Kathy Bates effortless makes countless scenes her own. Cheers, Jack! I think I might give the edge to The Wolf of Wall Street as far as the Scorsese/DiCaprio collaborations go, but The Aviator did not disappoint. I’ve heard good things about Brian’s Song but haven’t seen it myself. I’ll have to see if I can track it down. Oh yeah, I loved Bates’s performance. She was so damn frightening. I’m kind of curious to read the book because I’ve heard some of the film was toned down quite a bit. Nice review. The more I think about it, the more I’d probably saw The Aviator is the best movie Scorsese’s done in the 21st century. Not a flawless picture, but a great biopic that really maintains your interest. Thanks man. I think I might give the edge to The Wolf of Wall Street, but both are great films. I enjoyed Aviator and perhaps it should be more talked about than it is. However, comments made by you and Jaina point to why it might feel like a forgotten film. We just aren’t compelled to revisit it. It’s an excellent movie, but has a disposable quality to it. On the other hand, Bates’ work is truly indelible. What she accomplishes in this movie makes it rise to the level of must-see, and makes it one of the best of all Stephen King adaptations, in my opinion. Good post. I think you’re right, Wendell. The Aviator is a great film, but it’s lacking in the rewatchability factor, especially when compared to other Scorsese flicks like Goodfellas or even The Wolf of Wall Street. I still can’t get over Kathy Bates’ performance in Misery. So damn frightening — phenomenal work. The Aviator definitely made me want to see a documentary on Howard Hughes, he’s quite a fascinating man. It’s been ages since I saw the film, I think I like it but not sure if I love it, though I did love Blanchett’s performance. That makes me wonder if there is a documentary based on Hughes’ life. There’s certainly a near endless amount of material to cover there. Yeah, I kind of wish The Aviator showed more of his reclusive days + subsequent comeback, but the film was already long enough as it was. 😀 Definitely an impressive life. The Aviator always felt a tad bloated to me, but when I went back and rewatched it last month, I actually liked it much more than I remembered. Very solid film and yeah, the technical aspects of it are astonishing. Nice review! Awesome man, glad you dug it more the second time around! Happy to read that you’re a fan of Bates’ performance – one of the greatest female performances in my opinion. No argument from me there. Definitely one of the finest performances in a horror movie, period. I’d give Misery a little more credit. I think it’s a must-see if you like Stephen King or good thrillers. It’s a terrific adaptation of the book and Kathy Bates is truly phenomenal. Misery is definitely a solid film, and I’m glad I finally caught up with it. Bates’ performance more than lived up to the hype. 2 amazing films. Own both and I love watching The Aviator every so often. One of my favorite Marty films and an incredible biopic. Nice work! The Aviator was an awesome surprise. Looks great on Blu-ray, too!